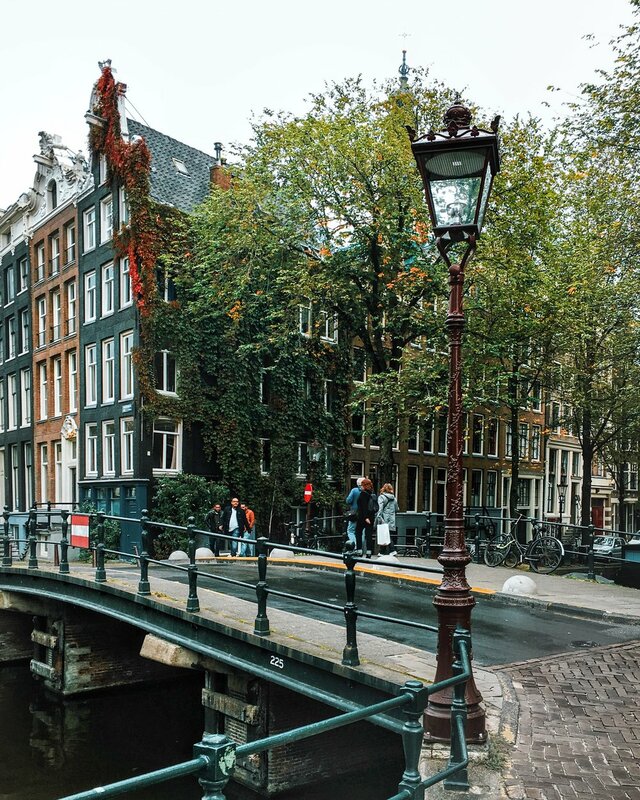 Arguably Amsterdam's most picturesque neighbourhood, where you can find flower-lined canals, narrow streets, countless coffeeshops, restaurants and quaint boutiques. Literally every corner is stunning and dreamy, so make sure you have your camera ready. A quirky shop selling framed butterflies, jewellery, taxidermy and gifts, set in an exquisite interior. If you like beautiful interiors, home decor, new and vintage items and quirky jewellery and handmade items, pay a visit to this concept store. Blond-Amsterdam (pink heaven on Gerard Doustraat) and Anna + Nina are also wonderful places to check out. A wonderful example of a café within a boutique. The concept store was founded by two girls who wanted to share everything they're passionate about: food, travel and fashion. Not only you can buy some unique clothing here, you can also treat yourself with a healthy food and coffee. I hid here from the rain and had the nicest mint tea to warm myself up. They encourage people to talk therefore there is not wi-fi to be found here;-) A cosy corner café in more quiet area, with some plants hanging from the ceiling and a few tables outside, perfect for people-watching. A seriously well-designed little café with a minimalistic relaxed atmosphere and mixed influences from across the world, founded by a guy who left his career in advertising in order to pursue his coffee shop dream. They proudly call themselves a "coffee lover's paradise", and roast their own beans in house. You can actually observe the process whilst queing up for you coffee. A delightful house-roasted coffee, airy space, high ceilings, striking plants, beautiful design. What's not to love? Monk's Coffee Roasters, White Label Coffee, Dignita, Coffee and Coconuts, Scandinavian Embassy.